On 14 February 1902, a group of eminent citizens met in the hall of the Bombay Municipal Corporation to decide how to best utilise the Victoria Memorial Fund – an amount of Rs. 253,800, collected through public contributions – to perpetuate the memory of Queen Victoria, then Empress of India. 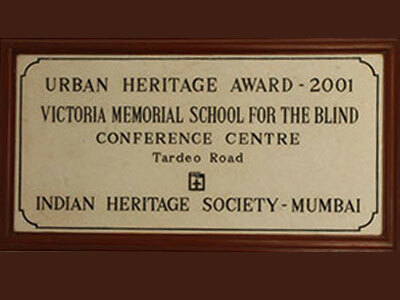 The group decided to use the Fund to set up The Victoria Memorial School for the Blind (VMSB). The school was formally launched in the presence of the incumbent Governor, Lord Northcote, beginning a journey that has already spanned over a century. We believe that all students deserve the opportunity to reach their academic potential and broaden their horizons, irrespective of their background and economic conditions. Based on this belief our institution offers all-round development to students with visual impairment or special needs through education, sports, music, handicrafts and other occupational skills – equipping them with the necessary resources to begin an independent life. The School’s first trustees were Sir Jamshedji Jeejeebhoy, a Sheriff of Bombay; Sir Bhalchandra Krishna Bhatavadekar, an eminent doctor; The Hon. Mr. S. Rebsch, a distinguished civil servant; the Hon. Mr. Ibrahim Rahimtoola, Chairman of the Standing Committee of the Bombay Municipal Corporation and Sir Sassoon Jacob David, textile magnate and a descendant of the legendary Sassoon family. 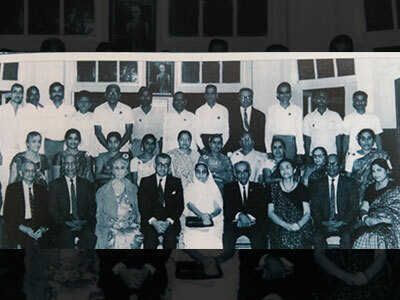 The Trust, comprising a Parsi, a Hindu, a Christian, a Muslim and a Jew, laid the foundation of a truly cosmopolitan and secular School, a tradition that is upheld even today. Mr. K N Jussawalla, Mr. J.B. Petit, Mr. Vijay Merchant, Mr. R P Masani, Mr. Madhavjee D Thackersey and Sir Pherozeshah Mehta were some of the luminaries who dedicated decades of sterling service to VMSB. Even today, the school is proud to have some of Mumbai’s finest minds guiding its growth and development. The school building, designed by Shapoorjee N Chandabhoy and Company, was inaugurated on 2 April 1914 by the Governor of Bombay (and later, the Viceroy of India) Lord Willingdon. With its classical façade, stucco ornamentation, imposing portico, stained glass panels and large, verdant gardens, the VMSB building has been honoured with the Indian Heritage Society’s Urban Heritage Award. The Urban Heritage Awards showcase the heritage of Greater Mumbai through its natural and built environment, traditions and culture. Among the several honours bestowed upon the school, some of the most significant ones have been the accolades by renowned national leaders. 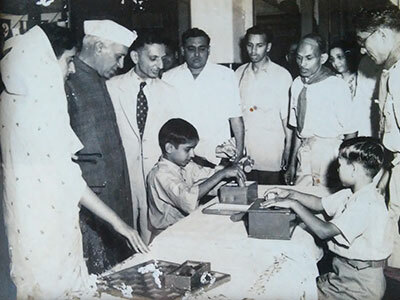 The Victoria Memorial School for the Blind was visited by Mahatma Gandhi in 1924 and Pandit Jawaharlal Nehru, accompanied by Mrs. Indira Gandhi, in 1951, who were full of encouragement and praise for the efforts towards creating a positive impact in the lives of children without sight. The school has also received support from India’s former president, Dr. A. P. J. Abdul Kalam who graced its centenary celebrations in 2002.